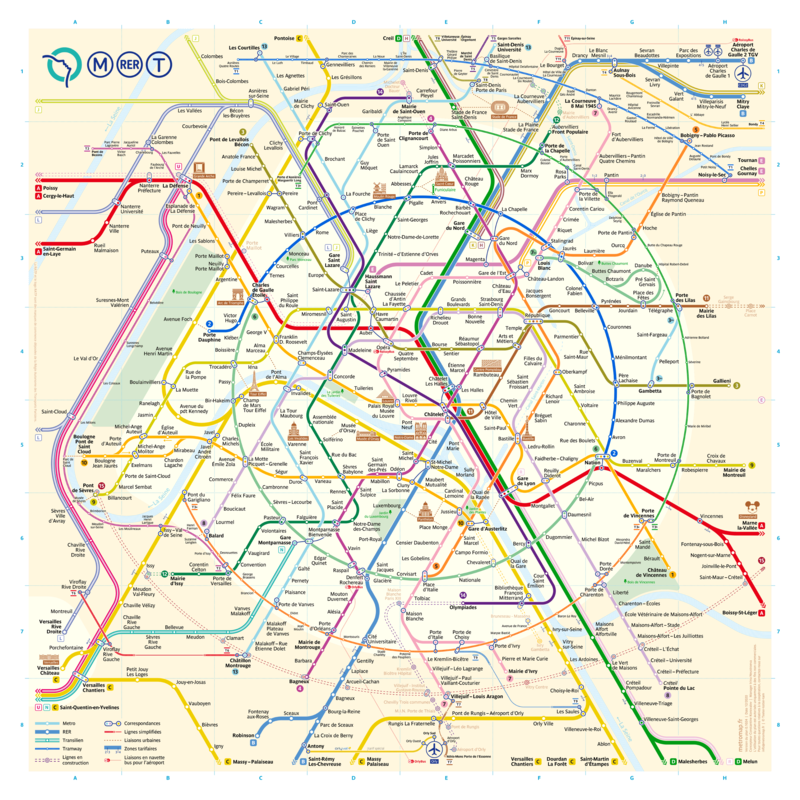 We looked at Paris from a different perspective and it inspired us to create this fundamentally new map of Paris metro system, regional trains, and trams. Every line and all the elements of the map have been rethought and brought to a new visual form to enable fast and easy route finding. If you depict the metro lines and on a geographic map of the city, you will see a closed loop that does not represent a perfect circle. But, on the associative level, this loop is easier to remember in the form of a circle. Usage of circular line pattern is the main principle of the map's design. They simplify the perception of the map by putting the visual accents and dividing the map into round segments. In addition, these lines, forming a circle, are unique as they intersect with all the main lines of the system. By the year 2030, another circular line will run around Paris. In 1992, Paris public transport operator RATP introduced a new logo featuring a silhouette of a girl looking up, which symbolizes the Seine river passing through Paris, represented in the shape of a circle. 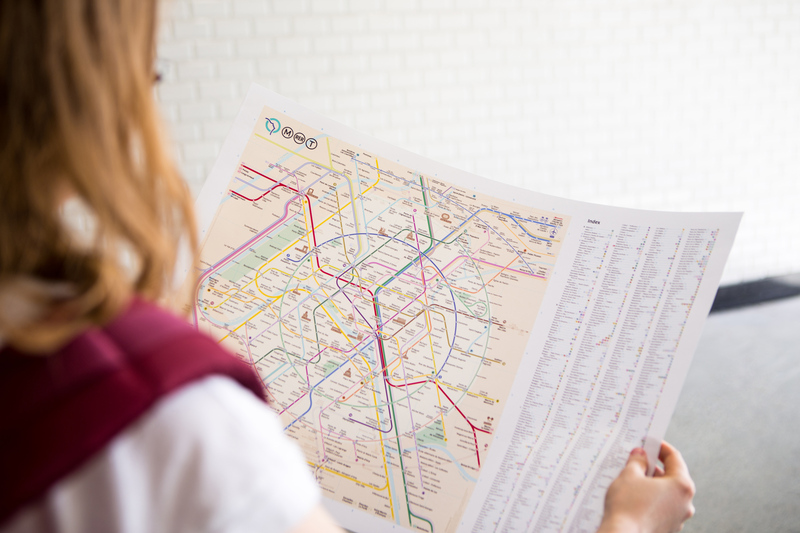 Nowadays, it can be seen on all metro trains, buses, tickets, and Paris city maps. Labyrinths are intentionally created with a lot of turns, to complicate the process of finding your way. As the goal of the new map was to help people to find their route quickly, it was necessary to straighten the lines as much as possible and depict interchange nodes in a more clear way. On the new map, there are two times less line bends then it is on the classic Paris transport map. In order to achieve this result, a 30° grid has been selected which allowed to increase the number of converging lines without interfering with the rhythm of the graphic image. Typically, transport maps employ a 45° grid. The map is new in terms of its layout concept, but it preserves the original colors and graphic symbols, which are currently used in metro. Icons of sightseeings will help tourists to navigate in the unfamiliar city, and will become landmarks for local citizens. The map includes the city of Versailles and all routes to airports in order to better serve the needs of visitors. Planned lines and lines under construction are marked on the map with a dotted line. This helps people understand how the Paris transport system will develop in the future. The map has been under development for two and a half years. During that time, over 800 map files have been created. By examining them one by one, you can see the multitude of redesigns and follow the workflow process. Former lead designer of integrated transport navigation at the Moscow Department of Transportation, where he developed navigation systems for cyclists, pedestrians, public ground transportation, and the metro, and the official logo of the Moscow Metro. 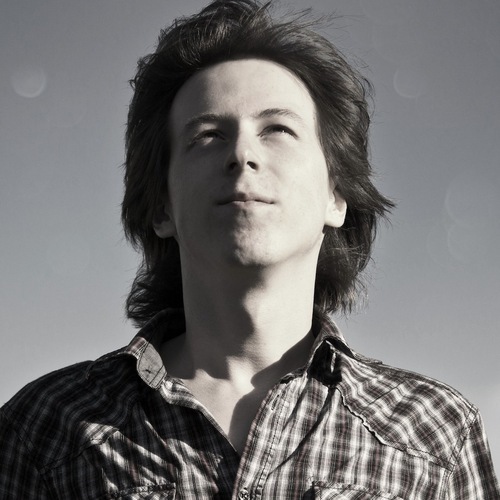 He works in his own studio, Teeter-totter-tam Animation. 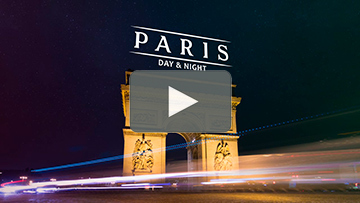 Also, check out our film about Paris made by our team while working on the map. RATP and the RATP logo are registered trademarks of Régie Autonome des Transports Parisiens. This map may be used only for non-commercial purposes. For all questions on licensing the map and cooperation, please contact us.